Bucks, Raptors, and Sixers have 2 All-Stars each. Celts only have one, Kyrie. The top to bottom thing is only significant during the regular season. In the playoffs, the starters usually average 40 minutes per game or close to 40 minutes per game. Last season Toronto had one of the best benches, if not the best, in the league. That's the main reason why they were the #1 seed last season. But they couldn't even win one single game against the Cavs. It's who has the best 5 players in the playoffs that matter. Boy this thread is sounding exactly like the Patriots 2018 Thread was sounding after the Pat's lost consecutive games in December. How did that thread end again? The difference between the Pats and the Celtics is the Pats are a proven winner. How many championships for Brady and Belichick before last week's 6th championship? This current generation of Celtics have not even reached the finals yet. Marcus Morris sounding off is proof that this Celtics team is flawed. It's like there's a war between the young players and the veterans. First it was Smart and Brown. Yeah but the Celtics don't have Tom Brady or Bill Belichick-minded characters in their team. You lost me with this one. How is a one game winner take all playoffs similar to a best of 7 nba playoff series? I mean I felt that the rams were in trouble before they even played the game, and I am embarrassingly a dolphin fan. Brady just finds a way to win. Our beloved celtics aren’t even close to that. We have been inconsistent the whole year, hot streaks, cold streaks, look invincible, then look like a lotto team. For a long time I kept expecting them to improve significantly and really gel. They have improved, but not as much as I had hoped. At this point they probably are what they are. Now why that is probably still up for debate. Did we underachieve due to coaching, mis managed roles, too high expectations of the young dudes? Probably a little bit of all of the above. I think it is unreasonable to think we are a sure thing to make the ECF. I think we are a good bet to win one series but after that it is just gravy to me. We just aren’t as good as we hoped we would be this year. See everything in quotes below? "We have been inconsistent the whole year, hot streaks, cold streaks, look invincible, then look like a lotto team. For a long time I kept expecting them to improve significantly and really gel. They have improved, but not as much as I had hoped. At this point they probably are what they are. Now why that is probably still up for debate. Did we underachieve due to coaching, mis managed roles, too high expectations of the young dudes? Probably a little bit of all of the above." For this reason I think the Celtics turn things around and go deep into the post season this year. Just not gonna give up. Who said anything about giving up? wth? I am going to root for them just as crazy hard as I did last year in the playoffs. But the fact is that Brady / Belichick as a combo are more of a once in a lifetime thing. Just because some guys came to the conclusion in another thread that this year was the end of the run for the Pats doesn't have anything to do with the C's. I love the celtics, I really love our young players, but as a whole our team has under-performed. 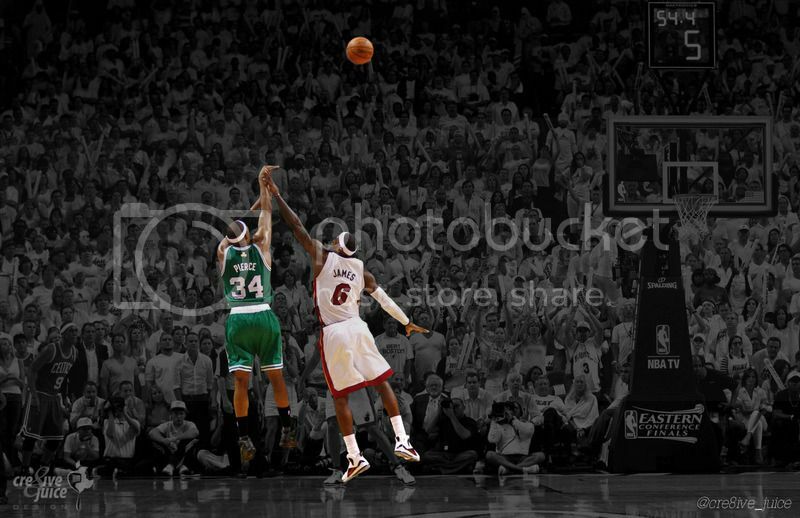 I don't think that logically leads me to believe that the C's are headed to the finals. As a fan, I will hold out hope for sure. By not making any moves at the trade deadline, Ainge is basically telling the Celtic fans to wait a little bit longer. I think it's game over for the rest of the NBA once we get AD. We just have to wait a few more months. As long as the Celts don't exit in the 1st round of the playoffs, the Celts will be fine. No, they won’t be tough against the rest of the East’s elite. I wouldn’t be surprised if we swept them even without HCA. I am still pretty high with my expectations. Now, If we lose to Toronto I'd be disappointed, but not that surprised. If we lose a series to Milwaukee or Philly I would be. I doubt we can beat Philly if they have home court advantage and I am not sure we can beat them period. They got significantly better. You should be worried about Giannis and Leonard too. There's no reason to believe the C's will get past the 2nd round. If we beat them tomorrow, it will mean we still have their number. That is a huge "if".